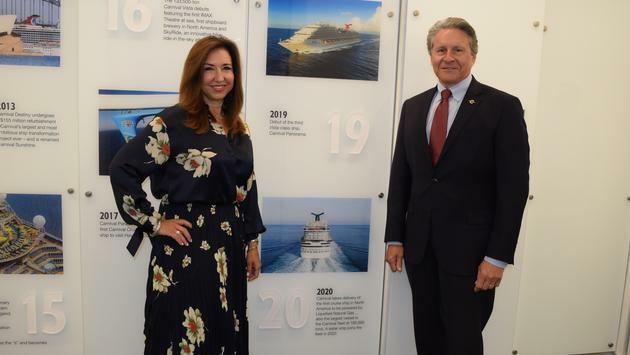 Carnival Cruise Line and the Canaveral Port Authority and have reached a tentative agreement to homeport the line’s largest ship ever – a 180,000-ton ship due out in 2020 – in a state-of-the-art terminal now under construction. The Canaveral Port Authority Board of Commissioners will review the terms of the agreement on Aug. 29. If approved, it clears the way to base the as-yet-unnamed 5,300-passenger ship at Port Canaveral's new Terminal 3, bolstering the line’s position as the port’s No. 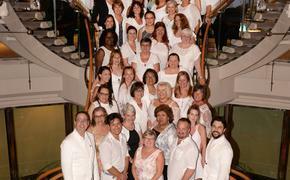 1 cruise operator. The vessel will be the first North American-based cruise ship to be powered by Liquefied Natural Gas (LNG). Construction of the 180,000-ton cruise ship is scheduled to begin in November with the official steel-cutting ceremony at the Meyer-Werft shipyard in Turku, Finland. Work on the new Terminal 3 began in April. Port officials said then the total cost for the 188,000-square-foot terminal is about $150 million. The new terminal, berth and parking facilities will accommodate up to 6,500 cruisers. High-tech systems will facilitate U.S. Customs and Border Protection screenings and allow for mobile passenger check-in. Carnival currently has three year-round ships based in Port Canaveral carrying upwards of 650,000 passengers a year. In October, Carnival Cruise Line will also reposition the newer Carnival Breeze to homeport at Port Canaveral.